It’s afternoon in Bali and the sun has begun to rise high over the rice paddies surrounding Ubud. 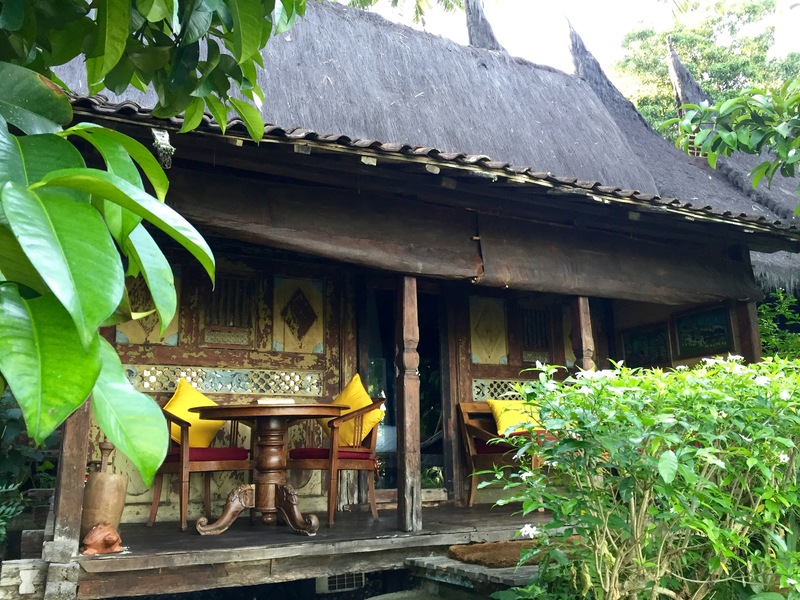 I’m checking into Bambu Indah–an eco lifestyle hotel that sits along the Ayung River. Bambu Indah—which is translates to “beautiful bamboo”—is unique because of the 11 Javanese bridal homes that make up its rooms. The wooden houses were built by Indonesians over 100 years ago before being gingerly transported and restored for hotel guests’ use. My arrival at Bambu Indah feels less like a hotel check and more like an induction into some sort of green living co-op community. Everything is organic. Everything is natural. From the handwoven sarongs given at check-in for “encouraged wear on property” to the farm-to-table dinners, Bambu Indah upholds the ideals of an eco-friendly lifestyle. The entire hotel leaves the impression that it could easily be dismantled overnight with out so much as leaving a broken blade of grass in its wake. Within minutes, I am in awe of Bambu Indah. The surrounding rice paddy views, the distant sound of the rushing Ayung river, the woodland set up and natural decor; the hotel seems to encapsulate the vibe of Bali. 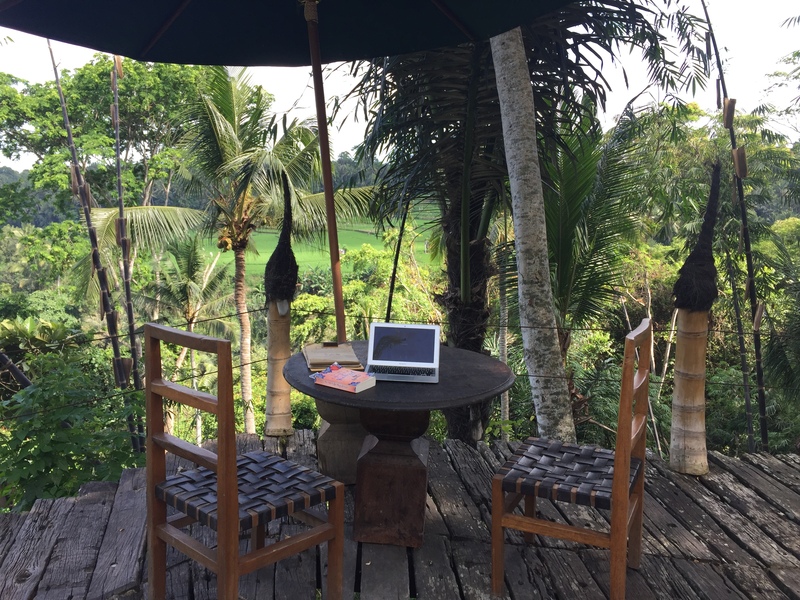 For those headed to Ubud, here’s what to know about checking into Bambu Indah. Let me start by saying that Bambu Indah is not your typical hotel. In many ways, my stay at Bambu Indah felt like an elevated form of “glamping” (glamorous camping for those new to the term). The wooden houses feature open air bathrooms, wooden furniture, no televisions (not needed here) and the welcome modern amenities of air conditioning units and Wifi access. That said, your bed is under sheer mosquito netting, your cabin walls welcome the sounds of the surrounding nature (and occasional, obnoxious animal noises). If an “outdoorsy” hotel experience is not exactly your cup of tea, then perhaps Bambu Indah may not be your best; but for those who don’t mind the occasional mosquito bite, Bambu Indah will welcome you with stellar views (sunrise over the rice paddies! ), organic dinners and endless charm. Bambu Indah has a community feel to it so it’s no surprise one of the highlights of the hotel are the experiences they offer. 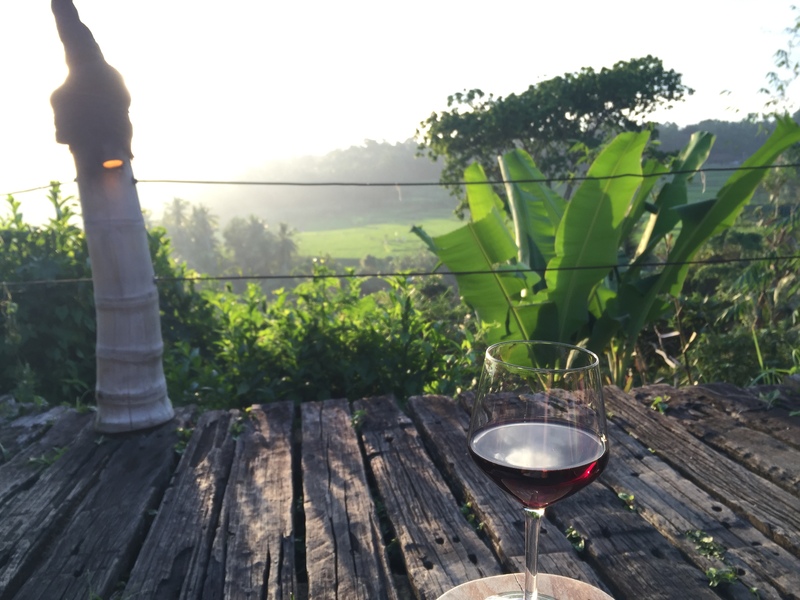 This includes evening sunset cocktails overlooking the rice paddies, various hotel events and hikes to a nearby Balinese village. It is the village experiences that really sets Bambu Indah apart. 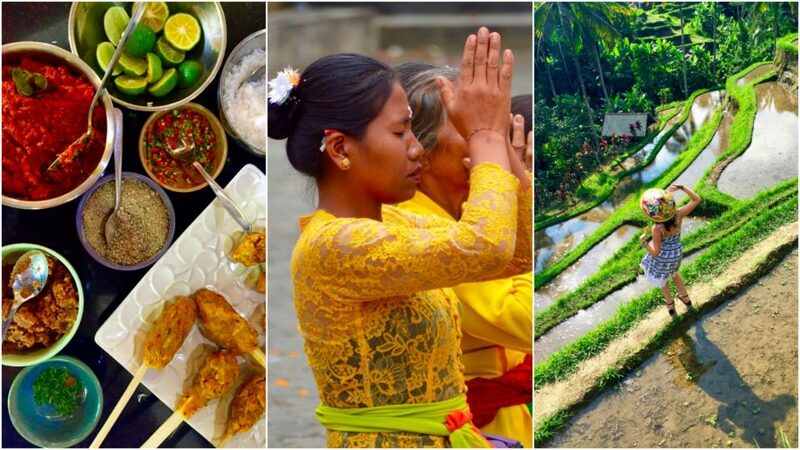 In short, the hotel will take you for local Balinese blessings, ceremonies, school tours and more. 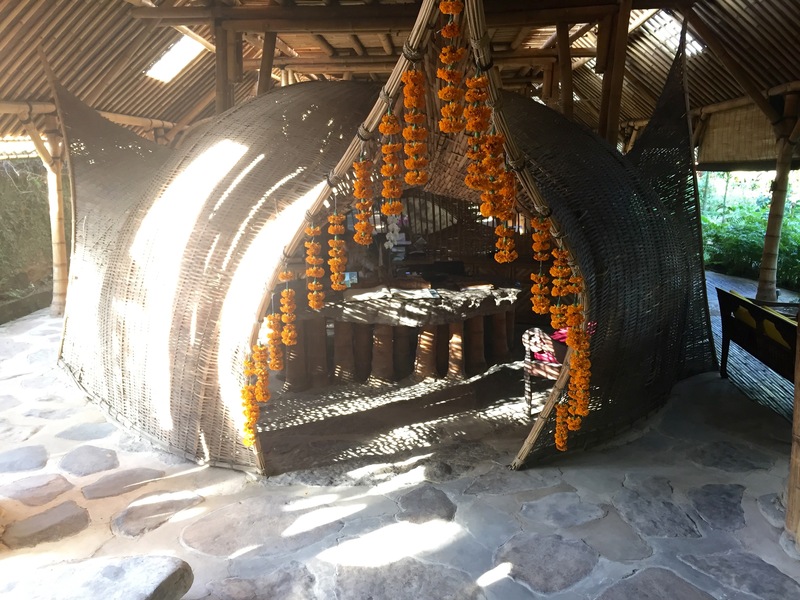 Whereas staying at a hotel or resort can sometimes separate a traveler from the local culture, Bambu Indah makes it a point to connect its guests with local Balinese culture and events. You’re looking for a unique hotel experience with stellar views of the rice paddies and a healthy vibe to it. Bambu Indah is perfect for couples and families as well as solo travelers seeking a quiet respite from their lives. What is the most unique hotel you’ve ever stayed at? Share your experience below!